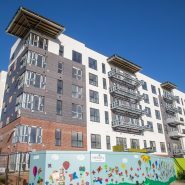 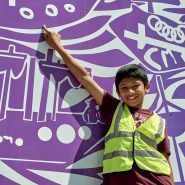 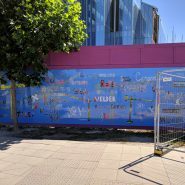 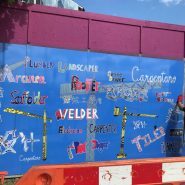 Ivor Goodsite’s Hoarding Competition 2018 Brochure is now available! 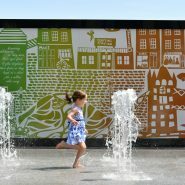 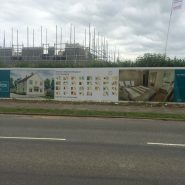 Ivor’s Hoarding Competition has seen continued success since its launch back in 2012 and this year is no different! 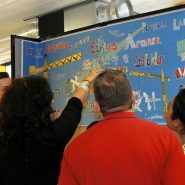 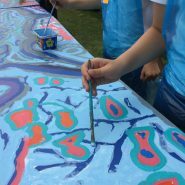 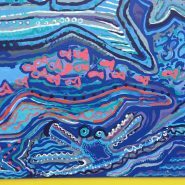 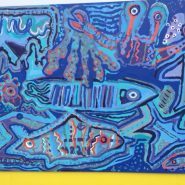 The 2018 competition saw a record number of entries and the standard of artwork produced by the participating sites has been astounding. 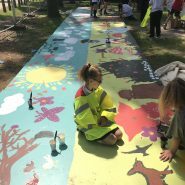 A multitude of themes such as ‘Confidence and Self Esteem’, ‘Nature at its Finest’, ‘Unity and Equality’ and ‘Space – A never-ending dream’ meant our judges had an unbelievable amount of variety to look through. 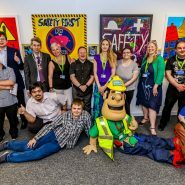 “Congratulations to everyone who participated in this year’s competition, and special congratulations to each of the winning entries. 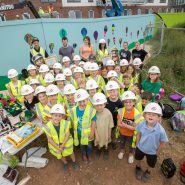 “It is amazing to see so many Scheme-registered sites taking part each year – underlining how successful and how important this competition is in helping to facilitate positive engagement throughout the local communities across the length and breadth of the country. 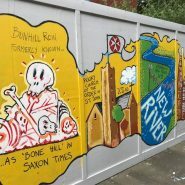 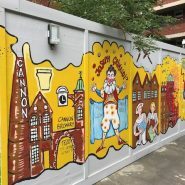 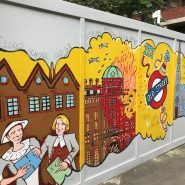 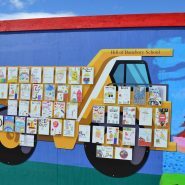 To view our 2018 Hoarding Competition online brochure, click here. 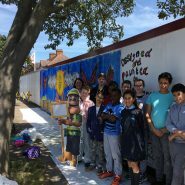 Bowmer & Kirkland with the help of Eden Park High School, Beckenham, Kent. 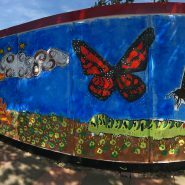 Theme: Rebirth of the School, as seen through Butterflies from a Chrysalis. 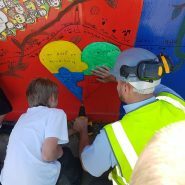 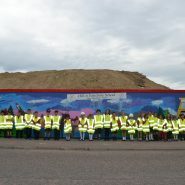 CJ Construction (Wales) Ltd with the help of pupils and staff of Ysgol Bae Baglan, Port Talbot, West Glamorgan. 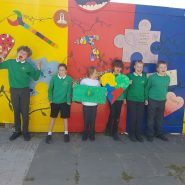 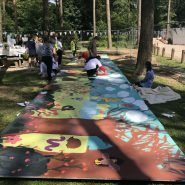 Theme: Sam Cannon Art-inspired rainbow mural. 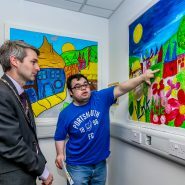 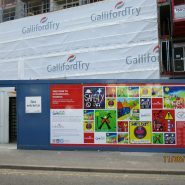 Galliford Try Building with LinkAble – a charity supporting young people and adults with learning disabilities. 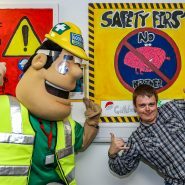 Theme: Site Safety is a ‘no brainer’. 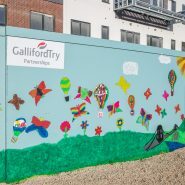 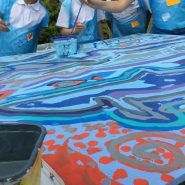 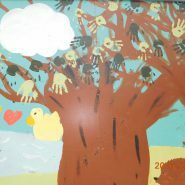 Galliford Try Partnerships West with the help of Frampton Cotterell C of E Primary School, Bristol. 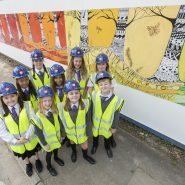 Kier Construction with the help of Wendover C of E Junior School, Wendover, Aylesbury, Bucks. 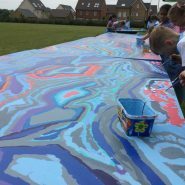 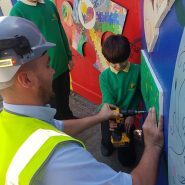 Lovell Partnerships Ltd with the help of Branston C of E Primary School, Lincolnshire. 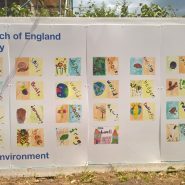 Theme: The environment and the local area. 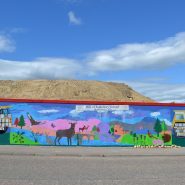 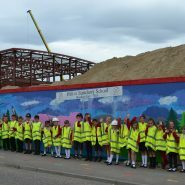 McLaughlin & Harvey Construction Ltd with the help of Hill of Banchory Primary School, Aberdeenshire. 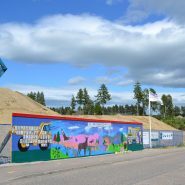 Theme: Town Landmarks & Site Safety. 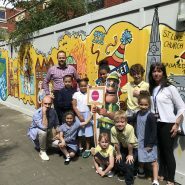 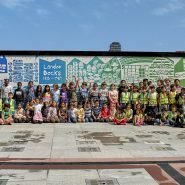 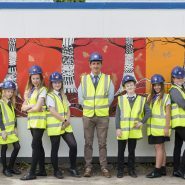 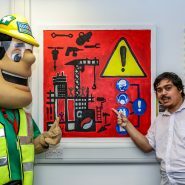 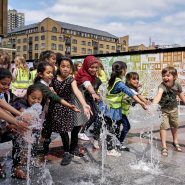 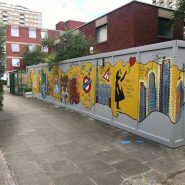 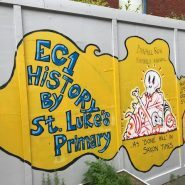 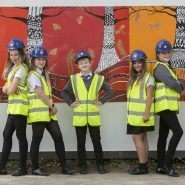 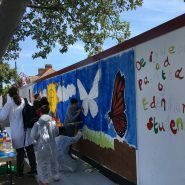 Osborne Construction Ltd (Geoffrey Osborne Limited) with the help of St. Luke’s C of E Primary School, Islington, North London. 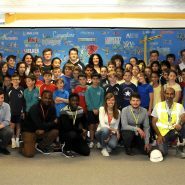 Skanska UK plc with the help of Cambridge International School, Cambridge. 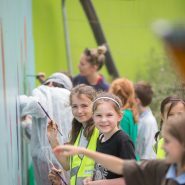 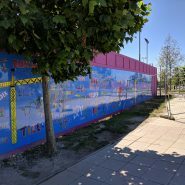 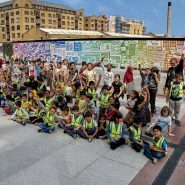 St. George City plc with the help of Hermitage Primary School, Tower Hamlets, East London. 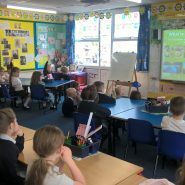 Theme: Gauging Square: Past and Present. 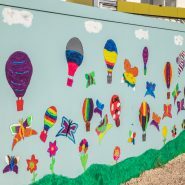 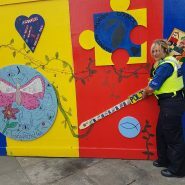 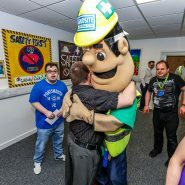 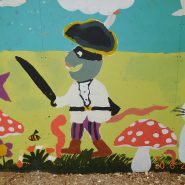 Warden Construction Ltd with the help of a number of community groups which include Little Rainbows Autism Group, Life Church Barnton, Cheshire Police, The Royal British Legion, Weaverham High School, Barnton Parish Church. 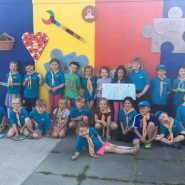 Barnton Community Primary School and Barnton Scouts and Beavers. 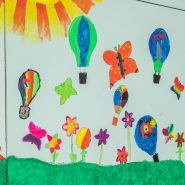 Theme: Autism Awareness and Bringing the Community Together. 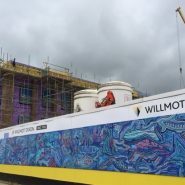 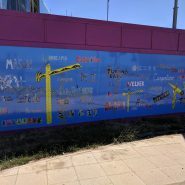 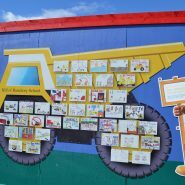 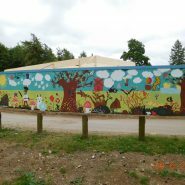 Willmott Dixon Construction with the help of Brooklands Farm Primary School, Milton Keynes. 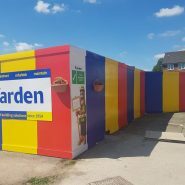 If you missed out on this years Hoarding Competition, be sure to look out for Honor Goodsite’s Big Build Competition which is coming this September and will run through to December. 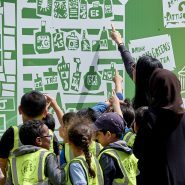 This will be another fantastic opportunity for you to engage with your local communities! 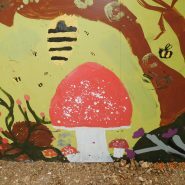 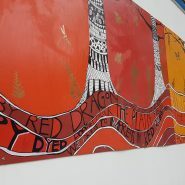 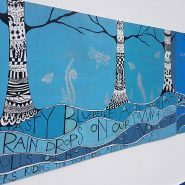 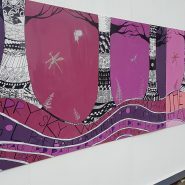 You can find out more about this on our competitions pages and take a look at last years entries!